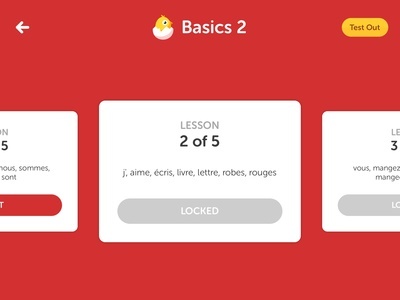 Duolingo is a clever language learning app with gamification. This is a fun and easy way to learn a new language, or refresh your skills with one that you learned at school. 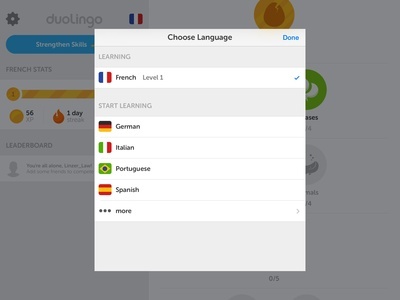 Duolingo is a completely free language learning website and app. I've chosen to review this on a games review site because of its clever elements of gameification. Learning is split into manageable lessons, for which you receive 4 lives to last you the lesson, and skill points for completing. Successfully complete the lessons, while conserving your lives, and you can use these skill points to level up. You'll learn vocabulary and grammar, building up from the most simple to increasingly complex sentences. 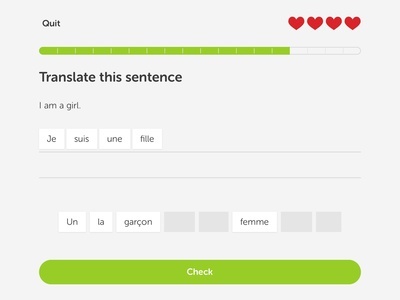 I'm learning French, a language I am already familiar with, and I have been enjoying this more than my attempt to learn Italian. 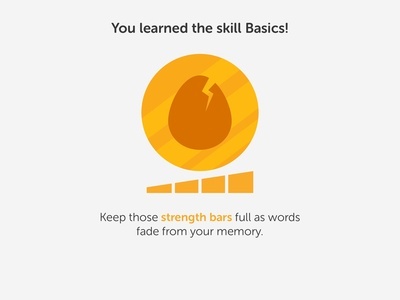 I think the Duolingo model works better as a refresher app than as a completely new language. In that circumstance it might be more rewarding to learn from a module that will also give you some of the cultural context of the language. For returning learners there is the added attraction that you can skip lessons and test out of a module that you are confident with already. The app also has social and competitive aspects. You can invite your friends to join and then track your progress against theirs. The graphics are pretty, and are much better than when it was first released. This is an app that is constantly being updated and improved. One of my initial concerns was that I wasn't learning to pronounce new words, and they have since introduced a speaking test. This adds more value ot the content and variety to the lessons. 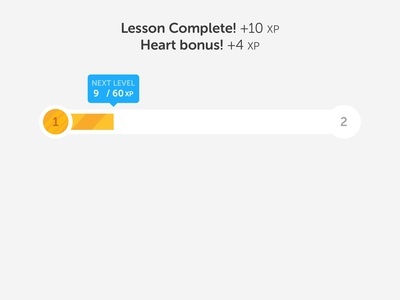 Duolingo is a free app, and the developers have promised that it will always be free. The business model, which funds the development, is also one of the more unusual parts of the app. Every now and then it will ask you to translate a sentence or two that is related to the module you are on. These crowd-sourced translations are from texts that Duolingo has been paid to translate. You then see other translations and rate them for perceived accuracy. I like this part of the app, because it makes me feel like I am contributing something, although I am not sure how good some of my translations have been. 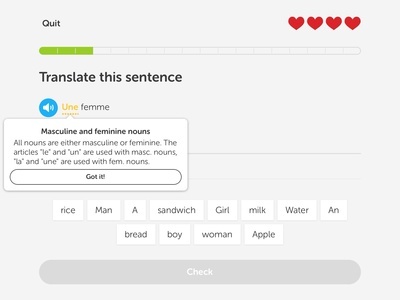 If you are looking around for a game that is educational at the same time, then Duolingo is one of the best I have found. Other people agree with me, according to Wikipedia, after its release into the Android store it was downloaded over a million times in the first month and rushed to the top of their education app charts. The langauges they currently offer are French, Italian, German, Portugese, Spanish, and English. 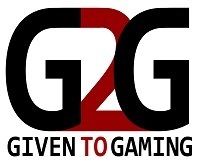 If you are interested in starting to learn any of these, this a free and fun way to do it.